 As the Baltic state prepares for high definition television broadcast transmission, Philip Stevens reports on a recent upgrade project from the perspectives of broadcaster LNK TV and competitive tender winner Grass Valley. As this Baltic state gears up for high definition television broadcast transmission, Philip Stevens talks to a broadcaster and the winner of a competitive tender for new cameras. Set up in 1995, LNK TV – Laisvas ir Nepriklausomas Kanalas (‘Free and Independent Channel’) – is one of the major broadcasters in Lithuania. Operating from studios in the capital, Vilnius, the company runs four channels: LNK, TV1, LIUX!, and Info TV. Since 2006, the broadcaster has covered 95% of the country using DVB-T, with the LNK channel also available as an analogue transmission for 93% of the population. Cable is also used for all four channels. Over the past several years, the company has carried out a number of major refurbishment projects. The first involved the installation of a new playout and production system for all the channels. “This was based on Grass Valley products such as Maestro, K2 Classic, Concerto, Jupiter, LDK400 cameras, Kayak 2.5 and 1.5 ME SD/HD vision mixers. We also installed Aveco automation equipment,” says Kazlauskas. This Aveco system is made up of mirrored ASTRA servers, which run under a realtime operating system (QNX). It controls the associated Grass Valley K2 videoservers, enabling a clean switch-over in the event of the failure of a server channel. In addition, it manages other Grass Valley devices, such as the Maestro master control switchers and Concerto router under Jupiter control system. This automation controls the main programme playout as an AB roll configuration, with two K2 ports playing the output. However, backup is achieved using just one K2 port and playing the same content ‘back to back’. This enables 1+1 redundancy for each TV channel, while preserving K2 server output ports and the required equipment for backup transmission chain. The ASTRA Content Management System also carries out media asset management for LNK by managing videoserver storage and Diva archive. One of the unique features designed for LNK is the ability to attach new audio tracks to existing clips. The audio files come from the dubbing studio, ASTRA picks the files, uploads to K2 and through the native protocol, attaches them to the relevant clip. The workflow is also integrated with the archive, which allows ASTRA to retrieve a file from Diva, attach the audio and then re-archive the material. Another development specially designed for LNK is the ability to handle sub second events. This allows LNK to air an event lasting just a few frames between two clips. Although it was clear that LNK favoured a single supplier, the provision of new equipment for the refurbished news studio was put out to intensive tender. Despite stiff competition from other systems integrators – including those offering low-priced entry-level equipment – Grass Valley, through its local distributor Hannu Pro, won the contract to supply its LDK 3000 high definition cameras. These were delivered in August. The LDK 3000 cameras were supplied with an integrated HD Wideband Triax transmission adapter. Also included were a base-station supporting HD and SD HQ outputs, 7-inch HD LCD viewfinders, and control panels for all five cameras. Each camera is equipped with three 2/3” Xensium imagers. This is the first fully digital camera imager developed for broadcast applications. It provides native HD resolution with 2,400,000 pixels, and uses state-of-the-art CMOS imaging technology. Also included in the camera deal is Grass Valley’s SuperXpander. This allows a compact handheld LDK 3000 camera to be converted into a studio configuration for the use of large box lenses. The cameras will be mounted on Vinten Radamec tripods. Working alongside the new cameras, and mounted on a studio crane, will be a Grass Valley DMC 1000 multi-format tapeless camera. Using the SD/HD outputs, REF and OCP/MCP support, this can be effectively integrated into LNK studio set-up. Hannu Pro also supplied LNK’s ENG department with two Panasonic AG HPX371EJ and two AG-HPX171EJ P2 series tapeless cameras, equipped with Fujinon lenses — including an additional Fujinon ZA17x7.6BRM-M QuickZoom technology HD lens. “With these acquisitions, LNK has been able to launch its new broadcasting season with one of most sophisticated camera set-ups in the Baltic States,” confirms Kalvis Baumanis, general manager at Hannu Pro. Alongside the new cameras, LNK is using a Yamaha 02R96 audio mixer and an Inscriber G1 graphics system in the upgraded news studio. To date, there has been no upconverting of SD material, but when the need arises, LNK will probably be using its K2 playout servers. Although the news studio is now HD-ready, it will be 2012 before high definition transmissions will begin. “During next year there will be tenders for Free To Air HD broadcasting licences and we will be ready for that growth,” concludes Kazlauskas.